Projecting upper storeys have been around since the 16th century, but it is only recently that the benefits of space efficiency and exterior appeal have made them popular again, as Clive Fewins discovers. This oak frame home was built using reclaimed materials and includes a jettied bathroom on the upper floor. If the word had been invented in the 16th century, jettied houses would have no doubt been called the first skyscrapers. By adopting a system of building that created a series of framed platforms with projecting upper storeys the builders of the time created houses that made good use of space and which today are regarded as visually stunning. 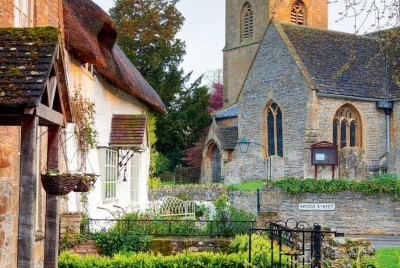 Jettied buildings adorn the old towns and villages of Kent and Suffolk in particular, but also several other counties in the south east of England as well as the Welsh borderlands, parts of Yorkshire, and other counties in the north where oak-framed buildings were the tradition. But can there really be a place for jettying in modern self-builds? Undoubtedly, the answer is yes where it is the local vernacular. Jettying can make a striking statement in its own right and not just when the planners insist on a new-build incorporating this feature in order to fit in with the locality. Jettying can also add to the upstairs floor space on a small plot. In the eastern counties it was quite common for the projecting timbers supporting the jetty to be covered with a render or plastered coving. In other counties with a tradition of oak framed buildings this is not always the case. In the Weald of Kent and East Sussex, for example, it was more common to expose the oak floor joists to form supports beneath the jetty. The famous Wealden houses with their elaborate continuous jetties were frequently an expression of the prosperity of the owner. In the case of the Spices and other designs by the John Alderton Partnership, the jetty is often achieved using steel beams in what Trevor Lang calls ‘the flank walls’ to create the cantilevered effect. These go back into the supporting wall about four times the length of the projection, usually 800mm. 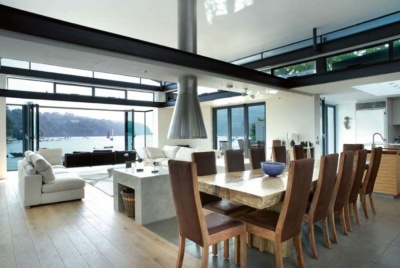 The coving beneath is of softwood and battens, covered with a rounded mesh and a soft render. To keep the structure light the gable end is of softwood timber frame construction. The oak beams in the drawing room are entirely decorative. This modern practice is disliked intensely by designer Stephen Mattick, whose traditional farmhouse new-build with a jettied wing in a village near Cambridge was the overall winner in the Daily Telegraph/H&R Awards in 1997. When jettying occurs it is in areas where timber framing is the local tradition. “Why introduce steel even if the upstairs of the building has a softwood frame when it is so easy and more sympathetic to do it in timber, even if it is all covered by a render at the end?” he says. 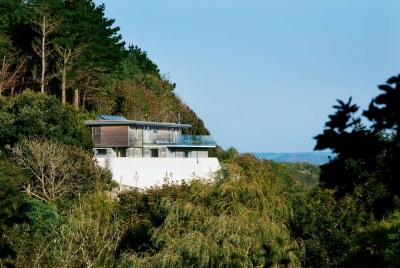 In our cost-conscious age there must be some point of compromise between these different approaches and it has been discovered by Kent-based architect Stephen Langer. 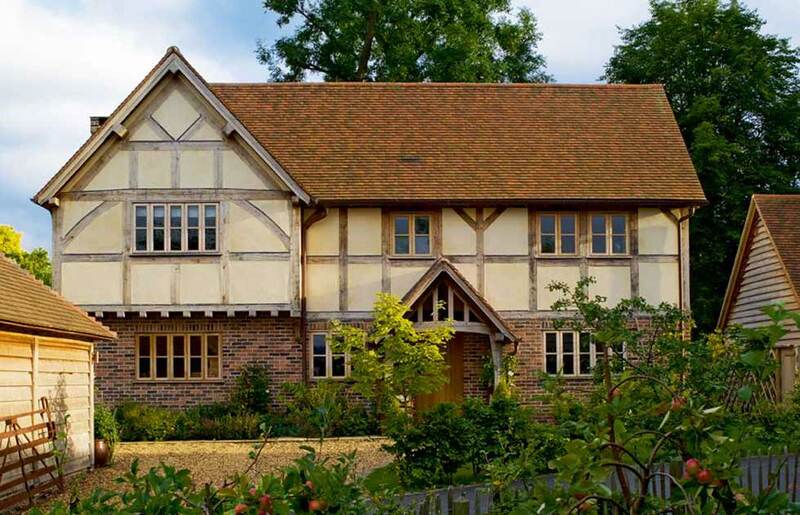 He specialises in new-build and extensions in traditional oak frame. In one of his houses, in the Wealden village of Stonegate, he has created a house that is of brick and block cavity construction to first floor level with a softwood timber frame first floor, which has a weatherboard outer skin. However, all the joists at first floor level are of oak and project to support a continuous jetty along the front of the building. In some ways things have not changed that much. In an Oxfordshire village the entire elaborate oak frame of the extension to entrepreneur and philanthropist Sir Martin Woods house incorporates a jettied first floor at the front. It was created by Wiltshire-based oak framers Carpenter Oak and Woodland. 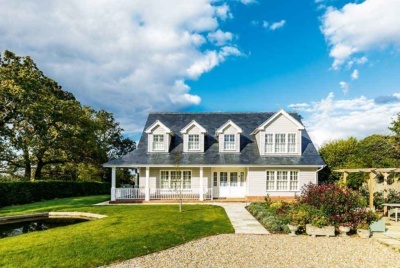 Similarly at Wonersh in Surrey, Somerset-based Westwind Oak Buildings created an oak frame with with a triple jetty unusual in a new-build nowadays for the new house of property developer Guy la Costa. Nowadays you should expect to pay upwards of £1,200/m² for a build of this quality, whereas a build incorporating a jetty but no oak frame might work out at something like £900/m². Border Oak Design and Constructions range of oak frame designs with jetties starts at around £750/m² for the full design and build service.